Seattle CityPass! Enjoy the City, Save Money! The CityPass program is a national program that sells discounted admission tickets for some of the most popular tourist destinations. 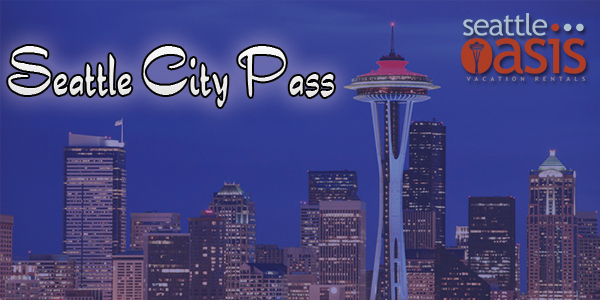 The Seattle CityPass makes it easy to see the iconic places that make the Emerald City so famous. It offers five admission tickets to some of the best tourist locations. Benefits include almost half off box office prices, you get to skip the general admission lines, and you up to nine days to use all the tickets. It’s simple to purchase your CityPass online, over the phone, or at participating Seattle City Pass locations. CityPass makes it easy to enjoy your time in our city! You will need to stand in line only at your first destination on the CityPass, but after that, you will be elgible for the members only or VIP lines, so besides the money you’ll save, it is a great way to save time and maximize your vacation time. The 2018 version of Seattle’s CityPass includes the Space Needle, Seattle Aquarium, Argosy Cruises Harbor Tour, and your choice of the Woodland Park Zoo or MoPOP and your choice of Chilhuly Garden and Glass or Pacific Science Center, for a total of five attractions. The Seattle City Pass gives you 2 visits to this iconic attraction, one for day and one for night. The 360-degree view of the city is truly a sight to behold and getting the chance to see the city lights from that vantage point is a treat for any age. 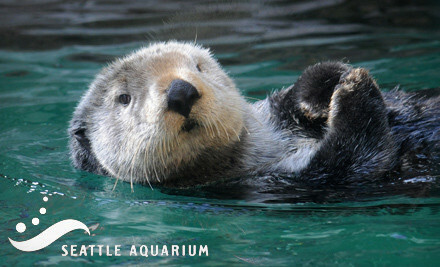 From the Underwater Dome to the Coral Reef Exhibit, the Seattle Aquarium is a must see. Stunning displays showcase the amazing collection of sea life in habitats that let you get up close and personal. Explore the city with an ocean’s view with this one hour tour of Elliot Bay and the Seattle Harbor. You’ll get a narrated tour and learn about the historic waterfront, shipyards, Alki beach and more. It’s a great way to appreciate the Seattle skyline. Located close to the Space Needle, MoPOP offers visitors a look into pop culture you won’t find in most museums. Rock and roll, comics, video games, television shows, movies, horror, iconic science fiction, and much more await the curious. Interactive exhibitions offer everything from an on stage experience to a face to face with dragons. 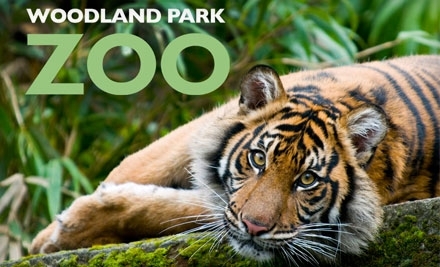 Natural habitats showcase over 1,000 animal ambassadors at this 92-acre award-winning zoo. From penguins to elephants, visitors will be amazed at the displays catered to each species. You’ll see a temperate forest, rain forest, desert coast, and even Alaska’s tundra. Visitors of all ages will love to look and learn with all the interactive exhibits in this Science Center. You’ll get to explore the Tropical Butterfly House, come face to face with robotic dinosaurs, touch live marine animals, and even explore space through a giant IMAX screen. The Seattle area is the largest glass blowing area in the world outside Murano, Italy. Dale Chilhuly is the most famous of the Seattle glass artists, and this project highlights Chilhuly’s work.